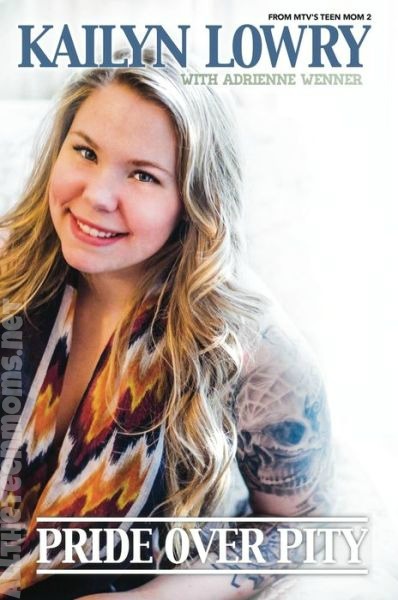 Kailyn Lowry’s Book Available For Pre-Order! Kailyn Lowry has been working on a book for quite some time now and teasing fans about it on twitter for months. Finally there is a release date! ‘Pride Over Pity’ is up for pre-order on Amazon and the Barnes & Noble website for those who can’t wait till the book is released on April 22nd. The description: “Kailyn Lowry is the feisty, unapologetic, tattooed beauty whose determination to raise her son on her own terms has been documented on MTV’s critically acclaimed, hit series Teen Mom 2. Across five seasons, fans have watched her grow from a vulnerable, pregnant teen into a fiercely independent young mother. Through the breakup with the father of her child and the ensuing custody battles, her struggle to come to terms with her troubled childhood, her diagnosis with bipolar disorder, and relentless online bullying, Kailyn has faced it all with her head held high and her spirit intact.